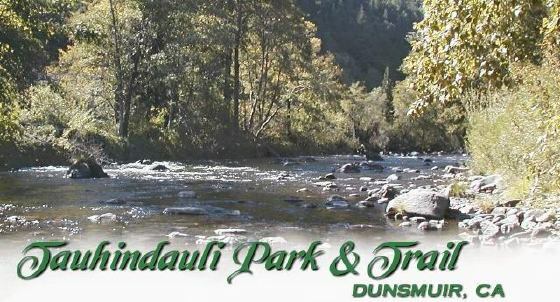 Tauhindauli Park and Trail has been developed along the beautiful Sacramento River canyon in the heart of Dunsmuir, CA. Long a favorite local fishing spot,swimming hole, and a site of both historical and ecological significance, this special place has finally received the attention it deserves and has been improved to enhance its recreational opportunities and esthetics. Environmental work and levee restructuring has been done which has improved flood control for the entire town. This is river restoration project which has created a natural park with pathways which wind through native grasses and plants, no manicured lawns can be found. Walking trails, fishing access and picnic areas are available so the natural beauty of the Sacramento River can be enjoyed to the fullest. 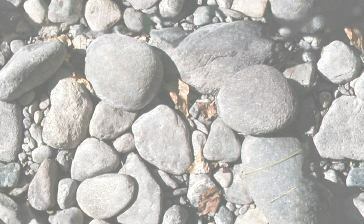 For ecological and flood purposes, riparian forests and meadows have been restored close to their original condition. Levees have been moved and built up for maximum protection for the Park from river erosion and to restore the watershed to the natural habitat which provides food for animals. The Park can be accessed from River Avenue. to the south and Stagecoach Road to Upper Soda Springs Road in the canyon. Tuahindauli Park and Trail is a project of the Dunsmuir Garden Club. Funding for this project comes principally from the Cantara Trustee Council and the Department of Fish and Game. This web site is made possible with a generous grant from the Ford Family Foundation. Thanks to all those whose money, time and effort has made this project possible. Tauhindauli Park will continue to need extra funding to assist in maintaining the project so that the Park can best serve our community. If you would like to help support this project or if you would like to be notified of further progress in the Park, please join us. This site was designed in collaboration with students at Dunsmuir High School as part of a special multimedia course offered by the school.